Red. 16" x 13" x 6 1/2". Made of durable, water-resistant polyester. 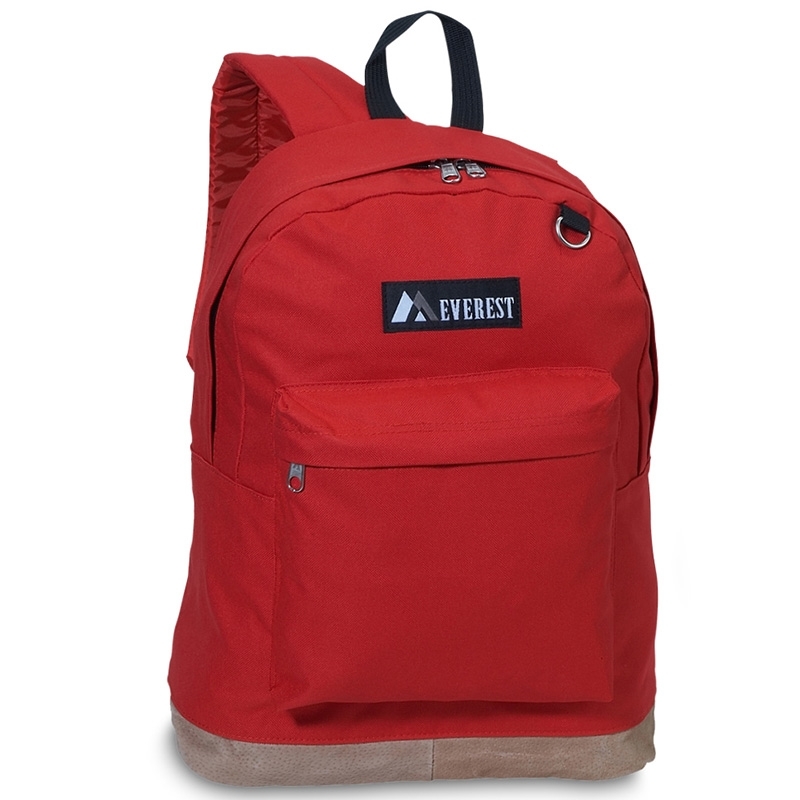 Features front zippered pocket and padded shoulder straps. Durable suede bottom.